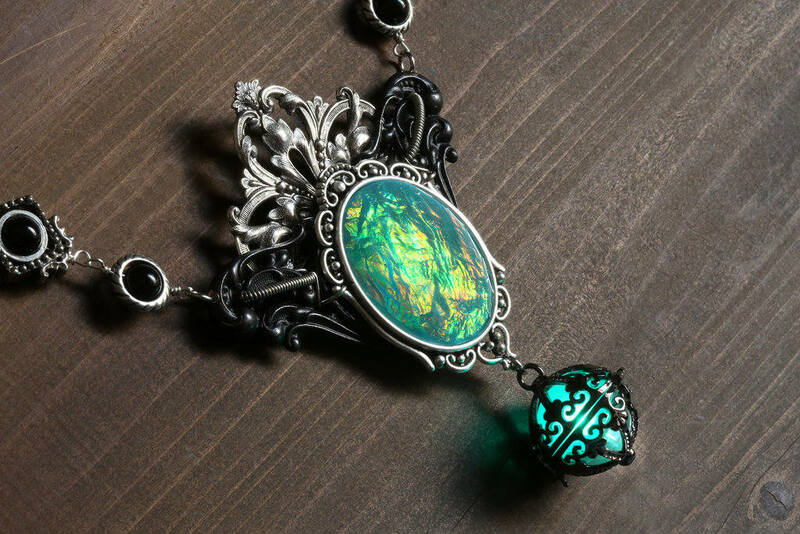 Gothic chic.Victorian filigree.Glowing pendant.Opalescent focal oval shimmering cabochon.Black onyx necklace.Statement piece necklace. 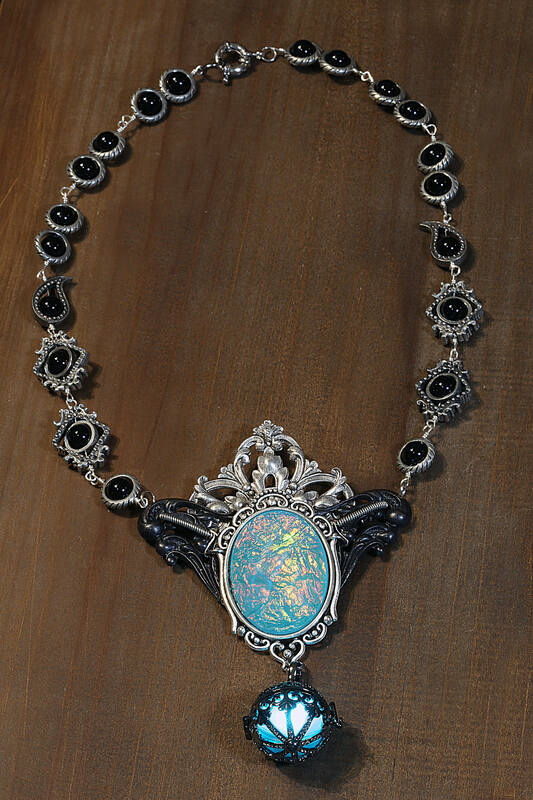 This Gothic chic necklace features beautiful Victorian style black and silver filigrees, a stunning ornate glowing orb pendant, a shimmering teal opalescent focal cabochon and black onyx beads. The ultimate statement piece necklace. Necklace Length : 21 inch , if you need a different length , please send me a note. The glowing pendant features a pulsing led orb powered by replaceable CR1220 batteries.